Availability: (790 item in stock items in stock) Warning: Last items in stock! 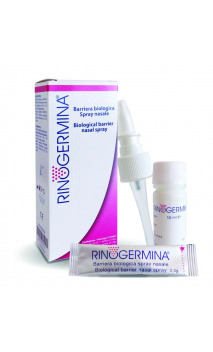 to prevent cold and rhinitis and to reduce risks of ear, nose and throat complications. STÉRIMAR ™ Cu is recommended daily in the beginning of the cold season and for cleaning the nose before using a medicine for an ear, nose and throat disease. * For cleaning nasal cavities. 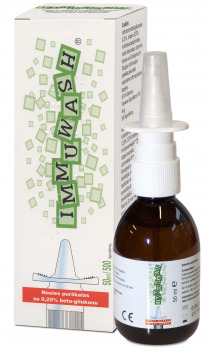 Hygiene and moistening nasal mucus: hold the head straight and insert the tip into a nostril. Spray 1-2 times per each nostril. Let the excess liquid to flow out and blow your nose. For deeper cleaning of the nasal cavities: bend your head to a side and insert the tip into the nostril that is higher up. Press the tip once and hold for 2-3 seconds. Let the excess liquid to flow out and blow your nose. 2-6 spray doses a day. INGREDIENTS. STÉRIMAR™ Cu is the physiological solution of sea water** with the salt content similar to the one in the cells of the human body. Positive effects of the filtered, 100 % natural and preservative-free STERIMAR™ sea water stem from the well-known characteristics of mineral salts, trace elements of sea water and copper. Sea water: 31.82 ml of cupric salt pentahydrate and purified water as required to 100 ml. Packed in the aseptic environment. Pressure container with inert gasses (nitric). The solution is in the internal container and has no contact with nitrogen. Approximately 150 spray doses. Warning! Pressure container: can explode, if heated. Keep away from heat sources, hot surfaces, sparkles, open flame and other sources of ignition. Do not smoke. Do not pierce or burn even if the container is empty. Keep away from sun. Do not store at a temperature above 50°C /122°F. Keep out of reach of children. AGENT IN LITHUANIA: UAB „Norameda“, Meistrų 8A, Vilnius 02189.